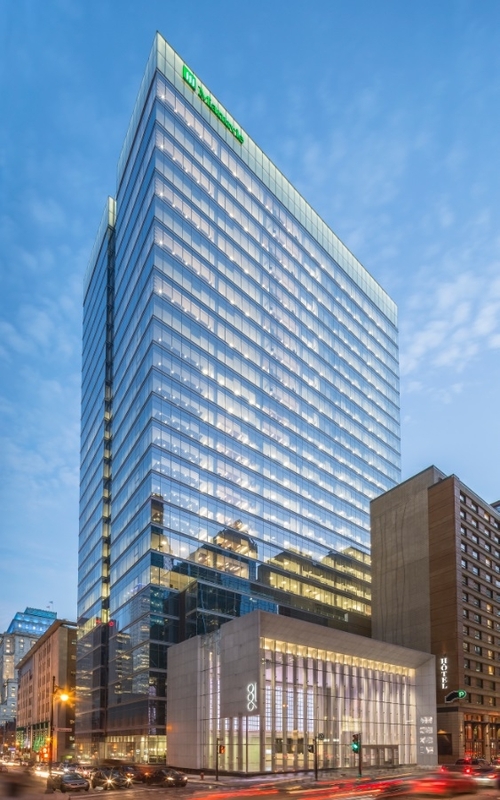 In the heart of Montréal, perfectly suited for an urban lifestyle, Maison Manuvie offers uninterrupted sightlines, state-of-the-art building technologies and quality indoor amenities, which come together to create Maison Manuvie’s exceptional work environment. Maison Manuvie has achieved Wired Platinum certification, which is awarded to buildings with the most reliable and secure Internet connections. The building is designed to obtain LEED® CS Gold certification. In 2017, the building won an Americas Property Award in the Office Development, Canada category from the International Property Awards. Quality and esthetics, coupled with efficiency and sustainability, are at the core of Maison Manuvie’s design. This building has been given a Wired Certification of Platinum for 2019. WiredScore certifies the quality of the building's internet connectivity.